Although stairs are not part of the structural load bearing frame, they affect and they are af-fected by its behavior especially when horizontal loading is applied, mainly due to seismic ac-tions. 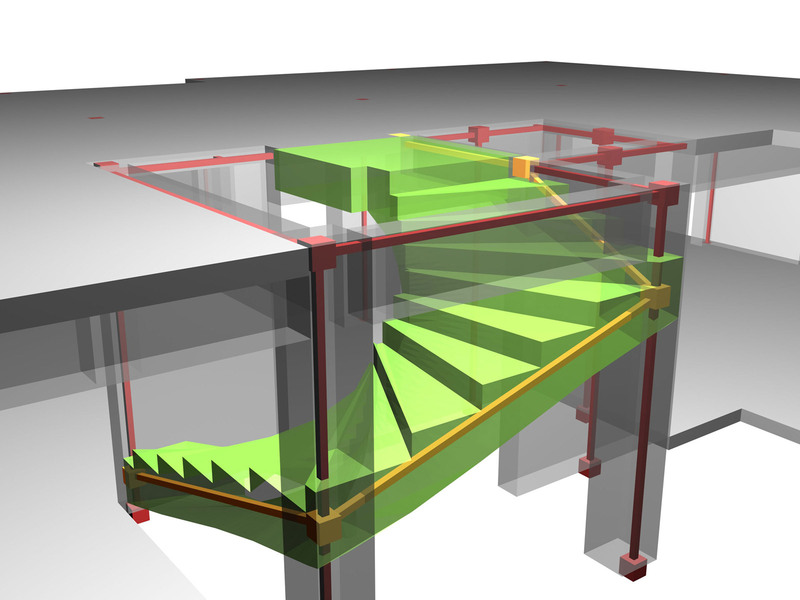 If the staircases are both properly placed in the structure’s plan and properly constructed they may even enhance the structure’s seismic behavior. Staircases are architectural-service elements, they are cast together with the load bearing frame which they affect and they get affected by. The main concern is to ensure that during of a seismic event, stairs will not suffer serious dam-age. This is necessary in order to ensure that after a strong earthquake, their repair will be tech-nically and economically possible, but most important, in order to ensure that they will remain in service allowing the evacuation of the structure since the elevator use will be prohibited.